For anyone unfamiliar with the wonder that is Mad Men, Peggy Olson is a fictional favorite who epitomizes the saga of the working woman. Her tale began as a secretary and one of the very few women in the ad agency where the show takes place. Her creative ideas provided a refreshing perspective that made the company very successful. Iconic for it’s set design, the show featured countless mid century desks—inspiring this gallery. 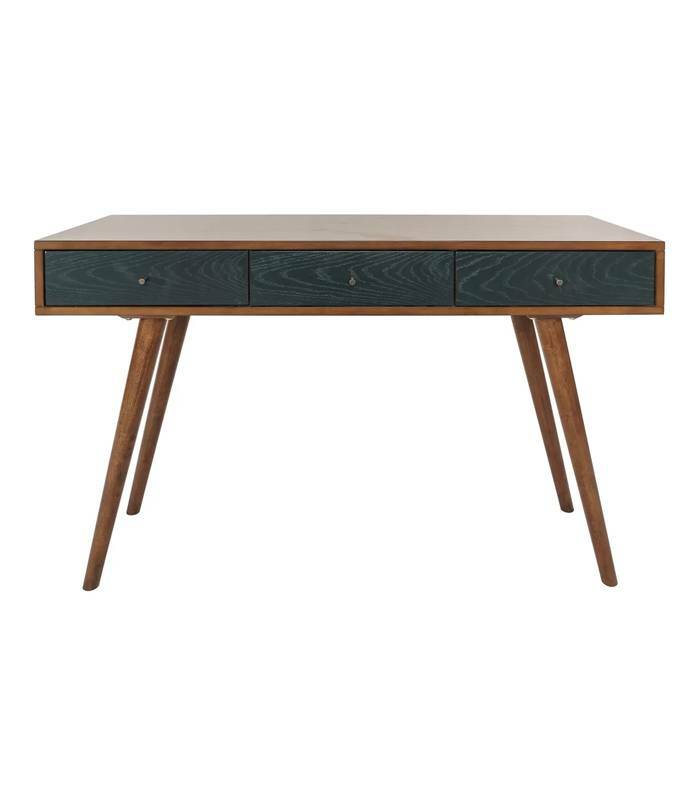 Retro and chic, these mid century desks will definitely add a 50’s flair to your office. As seen in Gabrielle Savoie’s original article, these desks are all a little different—but a shared characteristic is thin, angled legs. Mid century style is all about the minimal, understated look. You’ll notice that none of the desks look bulky or take up much space. They are simple, but unique because of contrasting tones and distinct angles. 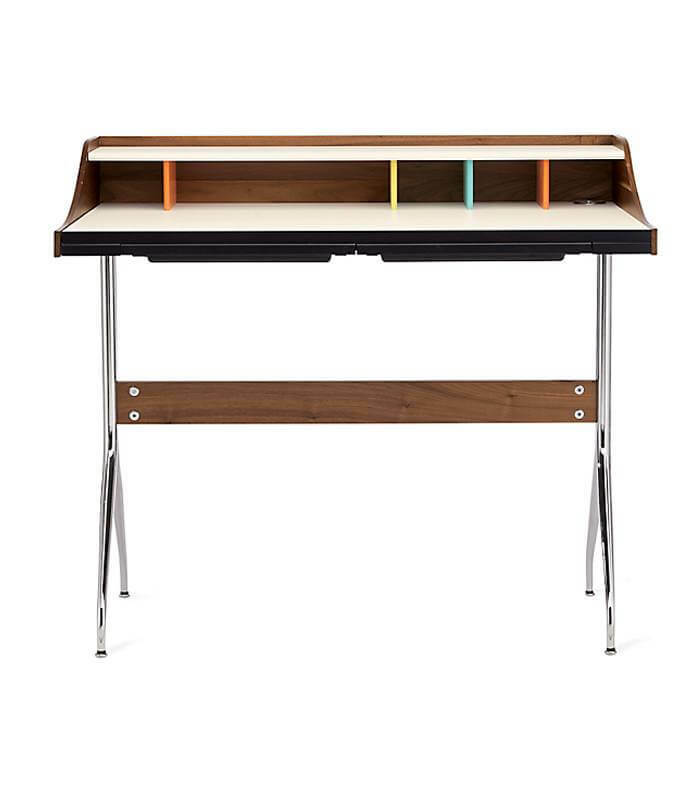 These desks are the perfect combination of stylish and functional. So here’s a salute to all the working women of the midcentury who helped create the diverse work environment of today. 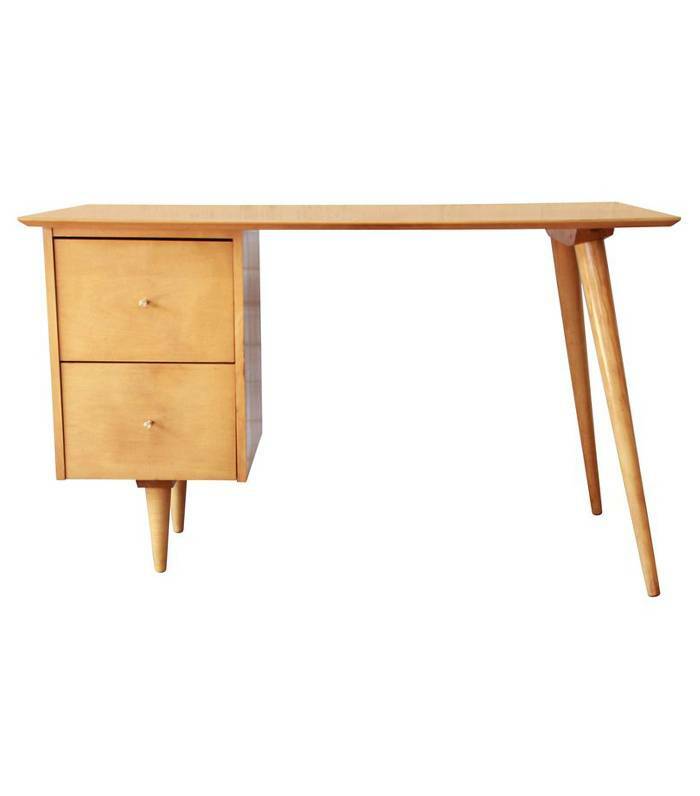 Be sure to check out Savoie’s article here for more mid century style desks.